For a few reasons, the American public is often in a state of complacency when it comes to the threat from Jihad. One reason is simply that Americans are busy, hard-working people who focus on their own lives and don’t obsess over threats and bad news on a daily basis. But the other reason is that our national news media often fails to report on terrorism-related news stories because they are too obsessed with the fantasy of Russian collusion and American pop culture. On 30 January, Islamic State supporter Charlton LaChase of Fort Pierce, Florida, was sentenced to 18 months in prison, followed by 3 years of supervision, for making terroristic threats. (Just an aside: 18 months seems to be a ridiculously light sentence for an Islamic State supporter who made terroristic threats.) Fort Pierce clearly has a problem; the Orlando Pulse Nightclub Jihadi shooter, Omar Mateen, was from Fort Pierce and attended a mosque in Fort Pierce where his father, an avowed Taliban supporter, was a prominent congregant. Also on 8 February in Arlington, Texas, Michael Kyle Sewell was charged with conspiracy to provide material support for a terrorist organization after recruiting on behalf of Lashkar e Taiba (LeT), the Jihadist terrorist organization responsible for the horrific attack on Mumbai, India in 2008. If you were not aware of these stories it’s not your fault. None of them received significant national news coverage here in the U.S. Only media in the localities where these men were arrested and sentenced covered the stories, with the exception of the story involving the LeT recruit in New York—that one was covered by news organizations in India, but you wouldn’t have seen much about it on CNN. This story should be the biggest news story of the day, but, other than Fox News, the TV networks are either ignoring it or purposely omitting key facts in their reporting. The FBI was monitoring the site for two months but never searched it because they did not have an arrest warrant, Taos County Sheriff Jerry Hogrefe said on Monday. Authorities will not say how the message was delivered or who gave it to them but Sheriff Hogrefe said it meant he could not wait any longer for federal authorities to move in on the site. How long the FBI would have waited to move on the compound is anyone’s guess, but it’s a good thing that Sheriff Hogrefe decided to move when he did. It turns out that the compound was being used to hold women and children against their will in horrible conditions and it was also allegedly being used to train Muslim children to conduct jihadi attacks on schools here in America. But here’s the really important part: the mastermind of this facility was none other than 39 year old Siraj Ibn Wahhaj. He is the son of Brooklyn, New York Imam Siraj Wahhaj, a man with a checkered past, but also one that has been coddled by US politicians for years, despite his clear ties to bad actors. Today news stories have surfaced reporting the arrest in New Mexico of Siraj Ibn Wahhaj – son of Imam Siraj Wahhaj, our beloved imam. The same stories cite the finding of several other adults and children, reportedly living in squalid conditions in what has been described as a “ramshackle bunker”, made from a partially buried house trailer. Last December, Georgia police authorities issued an alert for a missing child, identified as three-year-old Abdul-Ghani Wahhaj, a grandson of Imam Siraj. The little boy was described as suffering from a medical condition from birth, requiring medication to prevent emergency treatment. In conversation with fellow officials of the Muslim Alliance in North America (MANA), imam Siraj verified this, and expressed his further concern for the physical, psychological and spiritual well-being of some of his other family members – including his son Siraj Ibn Wahhaj (the boy’s father). Law enforcement authorities stated at that time, that no criminal charges were pending against the child’s father. 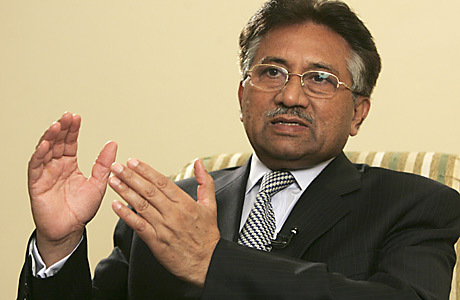 Their concern was the well-being of Abdul-Ghani’s health. Today however they stated that the child is still missing, and his father has been charged with abduction. We at MANA have no greater details at this time . Considering a police force claim that several guns were found at the scene of the arrest of Ibn Wahhaj and another man, Lucas Morten, we are grateful to Allah that no violence occurred. We credit the arresting officers for their professionalism in a sensitive operation, even as we continue to pray for Abdul-Ghani and all of the members of the Wahhaj family. We encourage all people of good will to do the same. • Wahhaj was born a Baptist but converted to Islam while in college. • He started as a member of Louis “Calypso Louie” Farrakhan’s Nation of Islam sect. • Wahhaj became a Nation of Islam minister and preached a black separatist ideology that termed all white people as devils. • Evidently, the Nation of Islam wasn’t what Wahhaj was really looking for because he left Nation of Islam and became a “mainstream” Sunni Muslim and, in 1978, traveled to Saudi Arabia to study Islam and especially Shariah. By 1981 he had returned to America and opened his first mosque. It was as Imam of his mosque that Wahhaj repeatedly invited Omar Abdel-Rahman (the Blind Sheik) to speak and fundraise. Abdel-Rahman was a notorious terrorist who eventually died in prison. Wahhaj had completely snowed the US government over the years and in 1991 became the first Imam to deliver the invocation at the US House of Representatives. There is a narrative in the West, promoted particularly by Muslim Brotherhood operatives and their allies, that violent Jihad is primarily the result of things that Westerners have done. • Islamophobia in the West and the USA in particular. • US support for “oppressive” regimes in the Islamic world. • US support for Israel. Linked below are news articles about two recent events that debunk the myth that Jihad is merely something that is performed in response to things we do or say. The first is a report from India that there is a threat of terrorist attack at New Year’s from the Jihadist organization Lashkar e Taiba. Readers may recall that Lashkar e Taiba carried out a savage attack on Mumbai, India back in 2008, killing hundreds of innocent civilians. Next we have two reports about the annual attack on Christians in Nigeria carried out by Boko Haram (which is now part of the Islamic State). …Boko Haram countered with a series of devastating attacks on towns in the country’s north-east, claiming dozens of fatalities in a bloody killing spree that began on Christmas Day. There is simply no way to blame the threat of Jihad in India or savage Christmas day terrorist attacks on Christians in Nigeria on mythical “Islamophobia” or US foreign policy or even Israel. 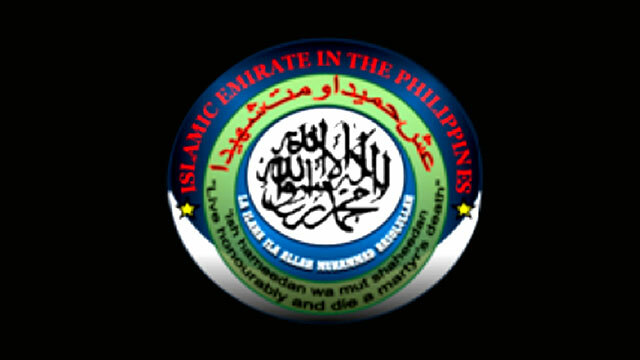 The fact is, Jihad is based in Islamic doctrine–doctrine that is 1300 years old. Jihadists base their actions on Islamic scripture and not on videos produced in the West or speeches given by US presidential candidates. It’s about time we learned this lesson in America. India has granted a partial pardon to David Coleman Headley, the naturalized U.S. citizen and former DEA informant, who conducted reconnaissance ahead of the horrible Mumbai massacre back in 2008. Reportedly, India has granted this partial pardon in return for Headley’s testimony about support from Pakistani military/intelligence officials for Lashkar-e-Taiba, the Jihadist terror group that pulled off the attack. That Mumbai attack apparently served as a model for future attacks, including the Paris attacks this year and the recent attack in San Bernardino. The partial pardon for Headley is likely to be very controversial in India. Here is a link to a good documentary about Headley’s life as a Jihadist and an informant who fooled U.S. authorities, causing them to look the other way in return for drug information while he was hiding right out in the open as a Jihadist. David Coleman Headley’s story illustrates just how long Jihad has been embedded here in America. It is now being operationalized and we will likely find out its infrastructure is much more developed and widespread than anyone previously believed. Once again we have been confronted with an outrageous statement from an official of CAIR, the Muslim Brotherhood front group that has been implicated in terrorist activity. Hussam Ayloush, the head of CAIR’s Los Angeles chapter, blamed US foreign policy for terrorism and “extremism” in the wake of the horrific San Bernardino Jihad attack that killed 14 innocent civilians and wounded 21 more. • Mr. Ayloush, did Boko Haram Islamic jihadists in Nigeria kidnap 300 Christian school girls because of US foreign policy? • Mr. Ayloush, did Lashkar-e-Taiba’s Islamic jihadists assault Mumbai, India in 2008, killing 175 innocent civilians because of US foreign policy? • Mr. Ayloush, did Chechan Islamic jihadists slaughter hundreds of school children in Beslan, Russia because of US foreign policy? • Mr. Ayloush, did Al Shabaab Islamic jihadists slaughter 67 innocent civilians in the Westgate Shopping Mall in Nairobi, Kenya because of US foreign policy? • Mr. Ayloush, did Jemaah Islamiyah Islamic jihadists kill 202 tourists in bombings in Bali, Indonesia in 2002 because of US foreign policy? • Mr. Ayloush, did Islamic jihadists kill 191 innocent civilians in 2004 in the Madrid, Spain train bombings because of US foreign policy? I could go on and on, but you get the idea…the problem clearly isn’t American foreign policy. The problem is the global Jihadist movement, of which your organization’s parent, HAMAS, is a key component. 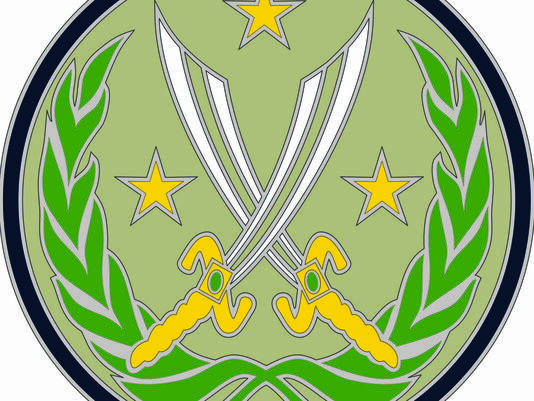 The US Army has issued a new shoulder patch for the slightly more than 3,000 troops who President Obama has decided he can spare to fight the world’s most dangerous Jihadist entity, the Islamic State, which the US federal government still insists on referring to as “ISIL,” despite the fact that there are now Jihadi groups from West Africa to the Philippines that have pledged allegiance to the Islamic State. If you’re wondering what the HELL is going on here, you’re definitely not alone. If you listen to some political pundits on both sides of the aisle, you might get the misimpression that Jihadists target America and America is viewed negatively in the Islamic world because of our support for Israel. The problem with that line of thinking is that ignores some 1400 years of Islamic doctrine. Each Jihadist terror organization around the globe has a specific goal in mind and that is the formation of an Islamic state ruled by Shariah. This is very important to understand because this is a common goal of all the major Jihadist organizations across the world. It is shared by Al Qaeda, HAMAS, Lashkar e Taiba, Abu Sayyaf, Jemaah Islamiyah, Boko Haram, Al Shabaab and others and transcends any localized disagreements over borders and pure politics. Israel could evaporate tomorrow and the overriding goal of the formation of Islamic states ruled by Shariah would not change a bit. Did ISIS wage Jihad in Iraq and Syria to establish an Islamic state ruled by Shariah law because America supports Israel? Did the Jihadist terrorist group Boko Haram in Nigeria kidnap 300 young girls this spring because America supports Israel? Did the Taliban seize power in Afghanistan in 1996 to establish an Islamic state ruled by Shariah law because America supports Israel? 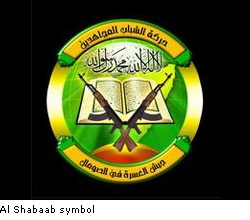 Did the Jihadist terrorist group Al Shabaab attack the Westgate shopping mall in Nairobi, Kenya, in September 2013, killing 67 innocent civilians, because America supports Israel? Did the Jihadist terrorist group Lashkar e Taiba launch terrorist attacks in Mumbai, India in 2008, killing 154 innocent civilians because America supports Israel? Did the Jihadist terrorist group Abu Sayyaf kill seven soldiers in the Philippines in June and kill 21 innocent Filipino civilians in July because America supports Israel? Did Jihadist terrorists in Thailand launch bombing attacks in two Thai cities in March 2012 killing 14 and wounding hundreds of innocent civilians because America supports Israel? Did the Jihadist terrorist group Jemaah Islamiyah bomb resorts in Bali, Indonesia in October 2002, killing 202 innocent civilians because America supports Israel? Did Chechen Jihadist terrorists massacre 334 people, mostly school children, in Beslan, Russia, because the US supports Israel? 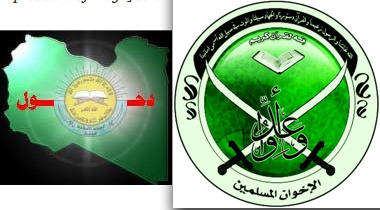 Did Jihadist terrorists with the group Al Qaeda in the Islamic Maghreb (AQIM) detonate a bomb in Marrakesh, Morroco in April 2011, killing 17 innocent civilians, because America supports Israel. Of course, the answer to each and every one of these questions is no and the questions and answers prove a point. Jihad is truly global. Tragically, it is one of the most successful “exports” in the world over the past decade. None of the regions mentioned above have a thing to do with Israel. Most don’t have anything to do with America. The doctrine behind global jihad is over a thousand years old. In other words, the jihadist doctrine has been around far longer than America has even been in existence. The Jihadists are not motivated only by our actions. They don’t just react to what we do. They have their own reasons for waging violent Jihad which have nothing to do with America, Israel or anything that you or I have any control over. The quicker our politicians—both Democrat and Republican—gain a full understanding of this, the better. 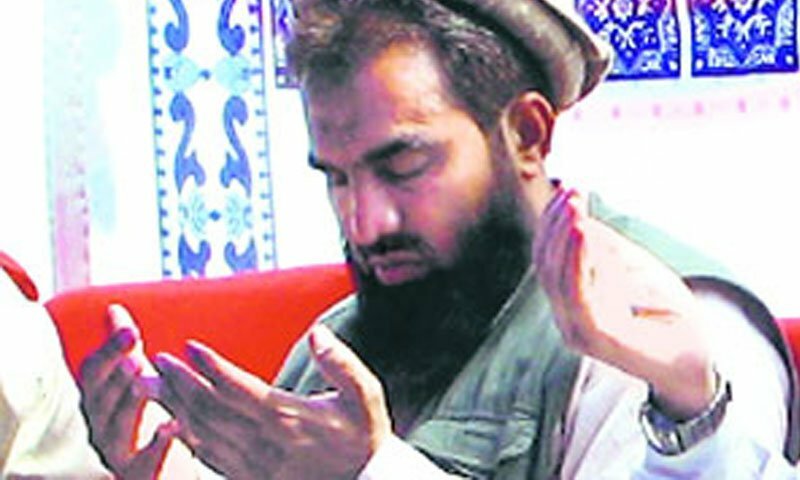 In a move that can only illustrate the two-faced nature of Pakistan’s role in fighting terrorism, Zakiur Rehman Lakhvi, the chief operational commander of the Jihadist terrorist organization Lashkar-e-Taiba, who is believed to have masterminded the horrific 2008 Mumbai attack, is set to be released from detention in Pakistan.